Five-year-old Pearl Brown, a tiny girl with flaming red hair, was born two weeks early with a brain abnormality so severe that she was sent home from the hospital on hospice care. Receiving most of her care at Monroe Carell Jr. Children’s Hospital at Vanderbilt, Pearl has been hooked to a ventilator connected to a tracheostomy tube in her airway since 2016. She has multiple seizures a day and is on five different medications to help control them. She has been fed by a feeding tube since she was 7 months old. She has trouble breathing due to facial deformities (a cleft lip and flat nose) and frequent respiratory infections because she’s immobile and has a hard time coughing up secretions. Pearl is a patient in Children’s Hospital’s three-year-old Program for Children with Medically Complex Needs, the first in the state. She sees five specialists regularly—ear, nose and throat, pulmonology, ophthalmology, urology and neurology—and three others as needed, in cardiology, endocrinology and for sleep disorders. She also sees a dietitian, physical therapist, occupational therapist and a dentist. Children who are considered medically complex typically have a longstanding medical problem involving multiple organ systems and see several subspecialists. They are often dependent on medical technology such as feeding tubes, tracheostomy tubes and ventilators and have high health care use and functional limitations. Although specialists are apt to treat the problems that relate to their specialty, it’s difficult for parents to find a provider who is willing to take ownership and provide oversight for all of their problems. In that sense, they could be considered “medical orphans” in the health care system because there’s often no place to go, or it isn’t clear where to turn, to unify their care. Diagnosed in utero with holoprosencephaly, an abnormality of brain development in which the brain doesn’t properly divide into the right and left hemispheres, Pearl was born two weeks early to Ruth and Eric Brown of Nashville. The condition also affects development of the head and face; the severity of the facial defects corresponds to the severity of the brain defect. Life expectancy varies, depending on the symptoms and the severity. Many infants either die in utero or shortly after birth. Medical advances have led to increased survival of children with severe complex medical conditions, said David Hall, M.D., professor of Clinical Pediatrics at Vanderbilt. Some children may require intensive medical management for years, and their care is often confusing and frustrating for both families and providers. During hospital admissions, the attending or responsible physician often changes weekly, and physicians-in-training (residents) change by the hour at times due to resident training rules. Medications and procedures to correct one problem can cause adverse effects in another. Care for medically complex children has become more tailored and less frustrating thanks to the program, part of the Division of Hospital Medicine. Hall, the program’s director, led a similar program at Cincinnati Children’s Hospital before coming to Vanderbilt. To be eligible for the Vanderbilt program, children must be followed by at least three subspecialty groups, and be admitted at least twice to the hospital or once to the intensive care unit in the year prior to enrollment. There’s also an “I-know-it-when-I-see-it-category,” and the rules can be somewhat flexible depending on the need, Hall said. The Complex Care team seeks to partner with the child’s primary care provider to supplement their care and help families navigate what can be a complicated medical system. Steven Webber, MBChB, MRCP, the James C. Overall Professor and chair of Vanderbilt University’s Department of Pediatrics, said the Complex Care program fills a crucial need for many of Children’s Hospital’s patients. Thanks to philanthropic gifts and the support of Children’s Hospital, the program has been able to grow and now includes another physician (Katie Freundlich, M.D. ), two nurses, a shared nutritionist, pharmacist, social worker, and a program coordinator who helps with scheduling multiple appointments on the same day to minimize trips to the hospital. It’s estimated that although children with medically complex needs account for a small minority of patients, they have a disproportionate impact on the nation’s health care system. For example, they now account for almost half of inpatient bed days in children’s hospitals around the country, and the inpatient population is growing thanks to medical advances that have allowed them to survive. However, with longer survival comes chronic medical problems that require ongoing management and coordination of care. David Hall, M.D., director of the Program for Children with Medically Complex Needs. Photo by Daniel Dubois. Nurse Practitioner Sarah Wilkerson, who works with the complex care patients during outpatient visits and in between, said families are appreciative just to have someone check in with them between visits, critical to keeping children out of the hospital and the emergency room. This type of care is not reimbursed by insurance companies, but is a vital part of the Complex Care program’s mission. Wilkerson said she spent several hours recently with a family in the clinic. Their child, who suffers from a rare progressive genetic disorder, had progressed from a normally functioning child to a near vegetative state. The parents were grieving the loss of what their son had been, and needed to work through it and decide on next steps. 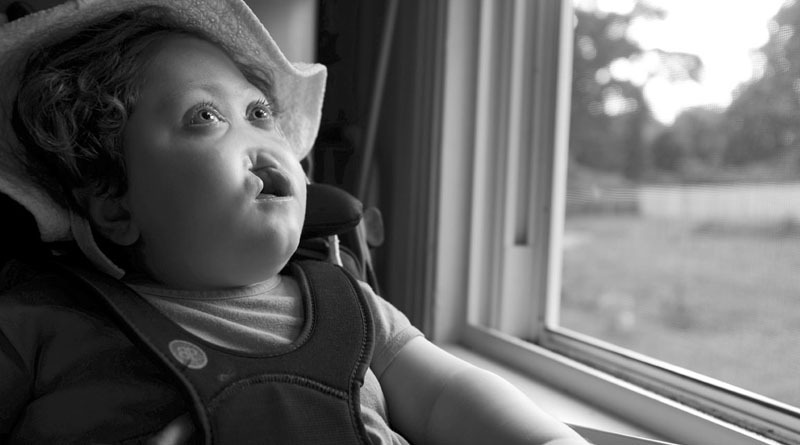 Before Pearl was enrolled in the Complex Care program, her parents, Ruth and Eric, were frustrated because they had to see different physicians each time Pearl was admitted. This is routine at an academic medical center, but when a patient has a complicated medical history, like Pearl’s, seeing different physicians and having to repeat her history each time is taxing. “You can’t just choose the doctor you see most frequently,” Ruth said. “You see who’s on service. Sometimes you know them and sometimes you don’t. Then, during a hospital admission over Thanksgiving 2014, Ruth read an article in a Vanderbilt University Medical Center publication about the new Complex Care program at Children’s Hospital and asked her primary care physician to put her in touch with Hall. In fact, data collected by Hall compares hospital stays for those in the Complex Care program six months before enrollment to six months after. Days in the hospital decreased 50 percent, admissions decreased 33 percent and readmissions within seven days decreased 50 percent. Hall has helped pull all of Pearl’s doctors together, Ruth said. Before her tracheostomy, he coordinated a meeting with several different specialists to discuss the surgery, recovery and care at home afterward. Hall and his team also have helped Pearl avoid unnecessary trips to the hospital and have helped coordinate home nurses who come to the Browns’ home to help care for Pearl. The Browns have two other children—Brennan, 9, and Abbey, 7. Abbey was diagnosed with juvenile diabetes last year and also requires frequent medical care. In fact, Abbey and Pearl were both in the hospital at the same time last year— Pearl in the Intensive Care Unit (ICU) with respiratory issues and Abbey, who had just been diagnosed with diabetes, in the Emergency Room. Hall said the program is already near capacity. The goal was to add 75 patients a year. But about two years after the program began, 270 children are enrolled. Medically speaking, 18-year-old Julia Risko is “as complex as you can get,” says her mom, Angell Chance. A patient at VUMC all of her life, she has severe cerebral palsy and suffers from scoliosis, epilepsy, microcephaly and visual impairment. She uses a wheelchair full time. Angell was told Julia might not live past the age of 3. Julia Risko, 18, who graduated from high school in May, receives coordinated care from the Complex Care program. Photo by Daniel Dubois. Angell said after Julia began seeing Carly Noe, the team’s dietitian, her feedings were administered by a pump. Her caloric intake is more regulated and her weight has increased from 50 pounds to 75. “Each member of that team is just amazing, and I feel like I know my child a little better because of them,” Angell said. Despite all she has been through, Julia graduated from Gallatin High School in May.